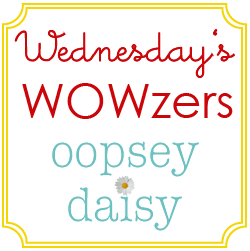 If you're new to Oopsey Daisy, welcome! 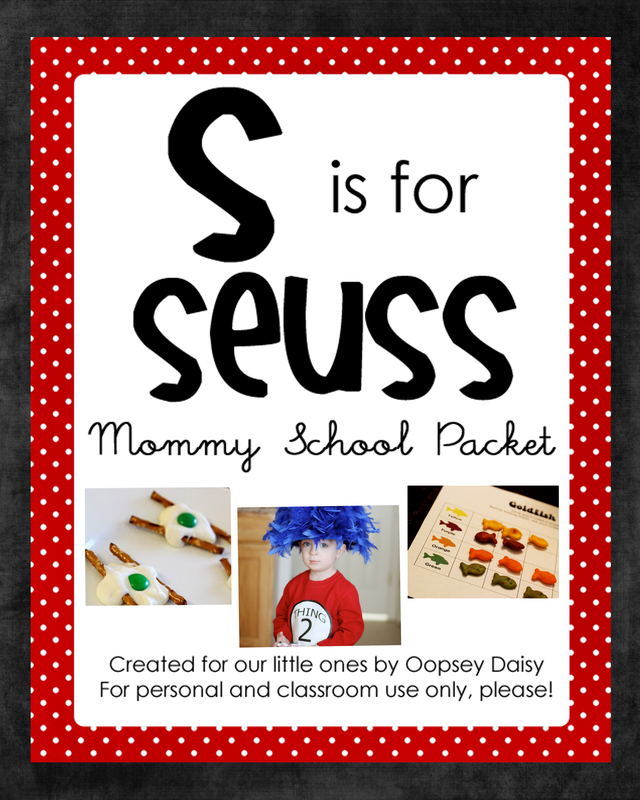 On Sundays, I cherish the opportunity to spend time with family and take a break from my usual crafting routine. 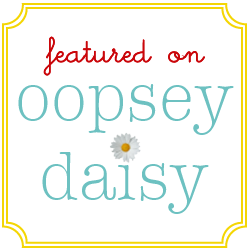 Sunday's Snippets is my chance to show you a peak into our everyday lives. Thanks for being here! 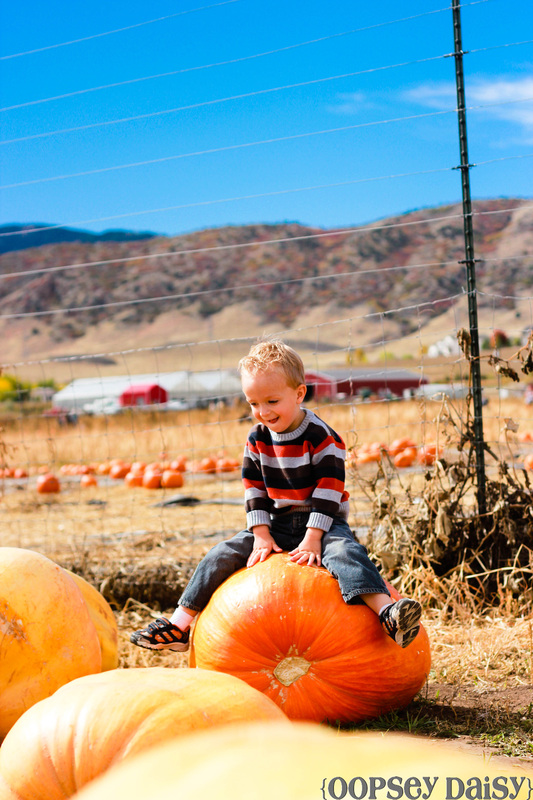 Pumpkin Patch Day might just be one of my favorite days of the whole year. It's right there behind Christmas Eve! 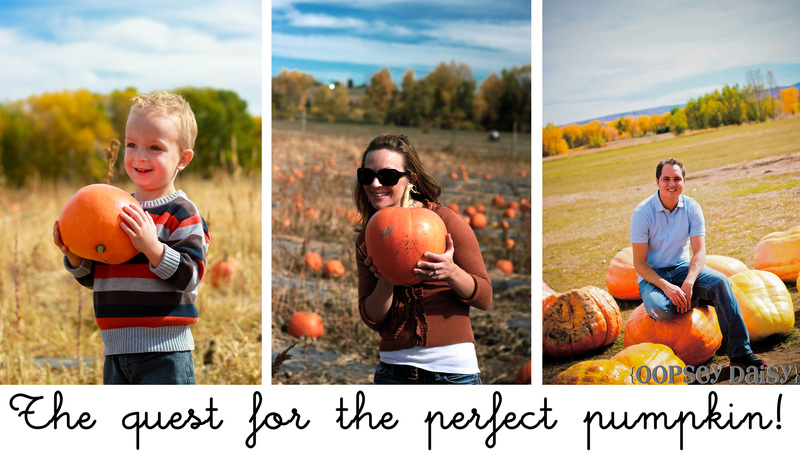 The patch is everything I love about fall: Vibrant colors... the outdoors... and pumpkins!! When it comes to baking, I love all things pumpkin! Pumpkin pancakes, pumpkin muffins, pumpkin bread, pumpkin cookies! 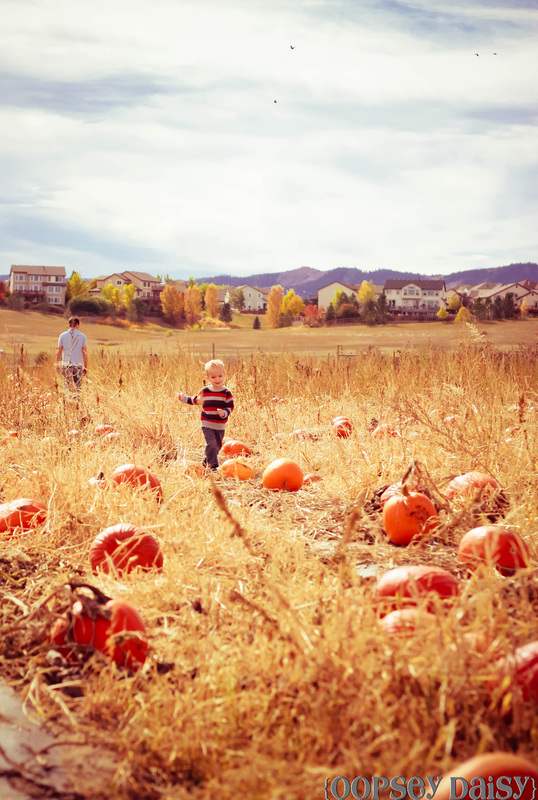 So just seeing fields of pumpkins makes me hungry! We planned our outing to the Patch weeks ago. And it was the perfect day. 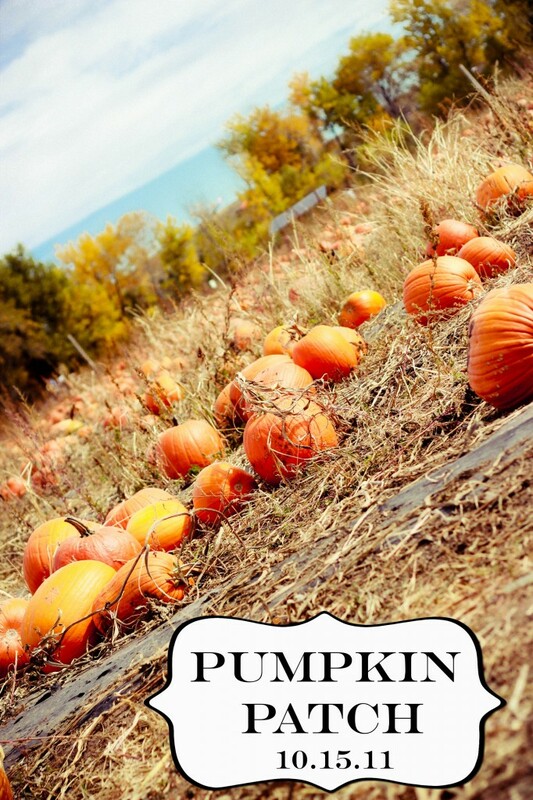 The weather was gorgeous and the pumpkins were plentiful! I realize that I take too many pictures, but I simply couldn't resist. 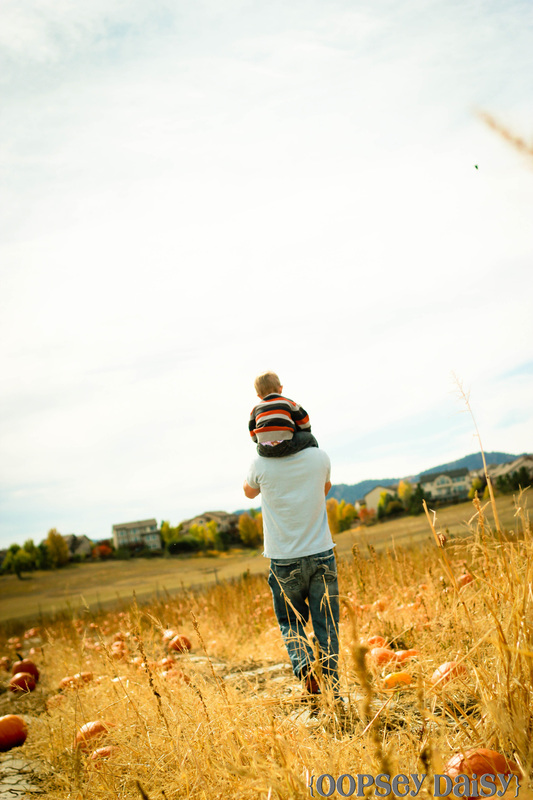 I just loved sitting back and watching Little Man experience the Pumpkin Patch for the first time he'll probably remember. So many pumpkins--where to begin? 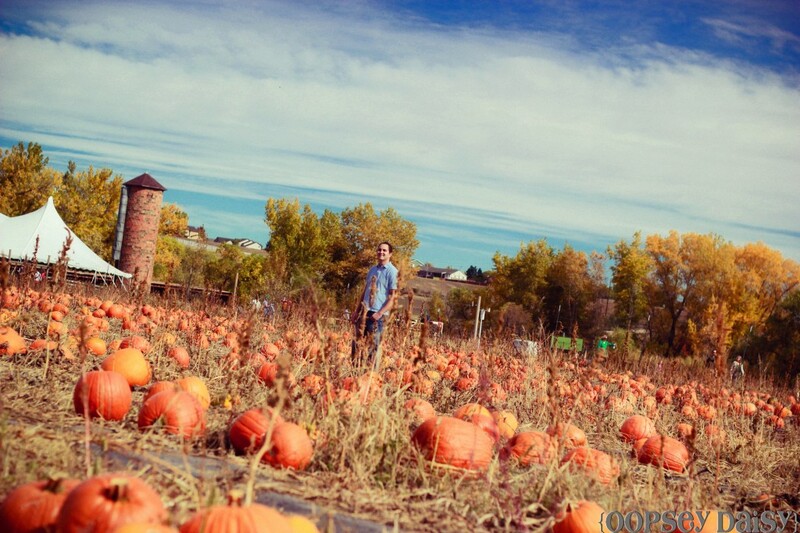 Can you spot my hunk of a husband in the middle of all those pumpkins?? He's certainly my favorite pumpkin head! 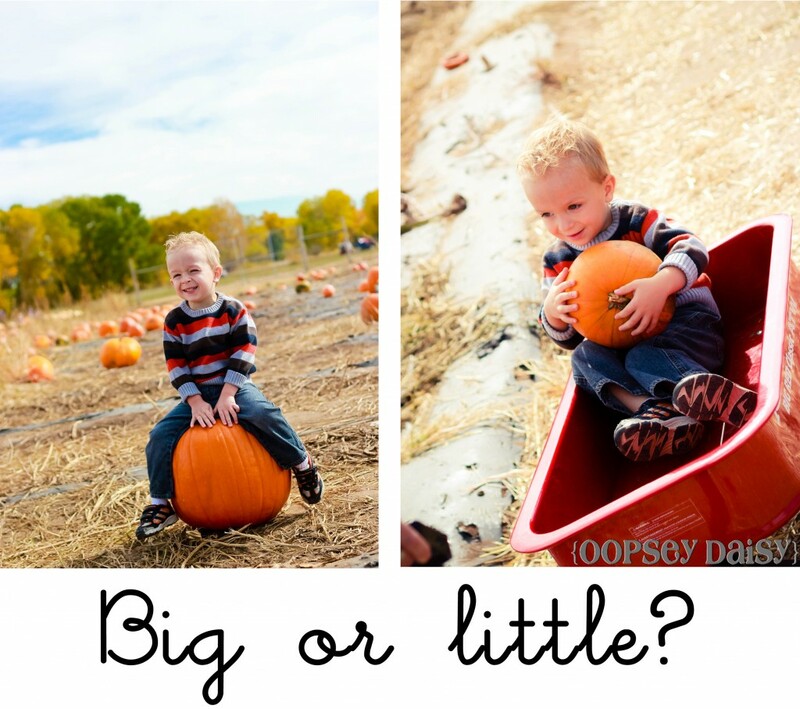 I honestly thought Little Man would drift toward a big fat pumpkin. He preferred a "baby" pumpkin that he can hold all by himself! So our pumpkin selection required trying every pumpkin on for size! 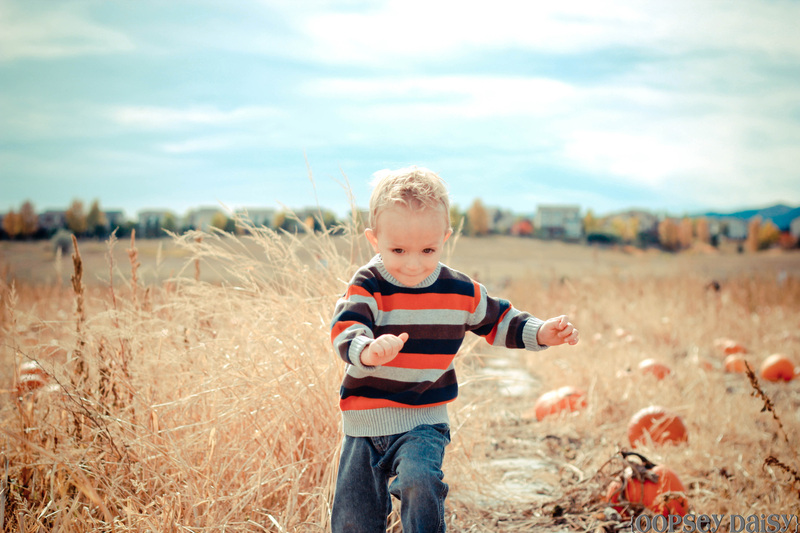 What is it about all the open space that makes a toddler want to run for it?! Daddy makes everything so fun!! But there were some pouty moments. 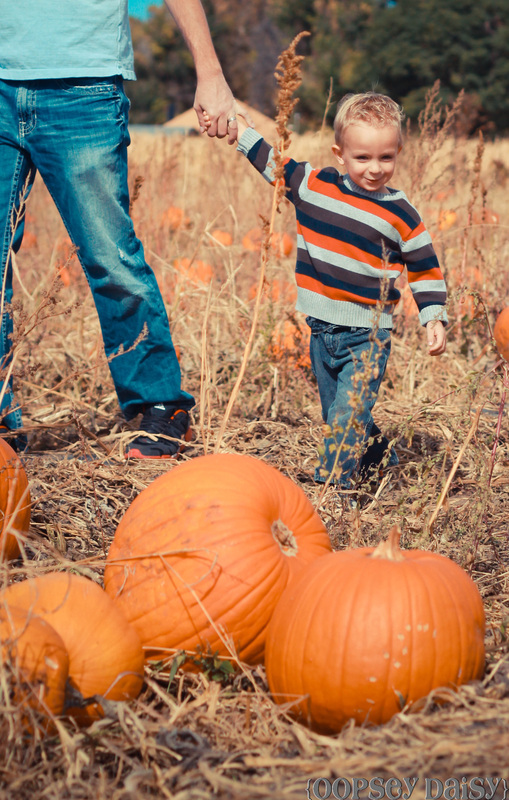 It can be overwhelming to find the perfect pumpkin, and Little Man took his job very seriously. The perfect pumpkin was found! 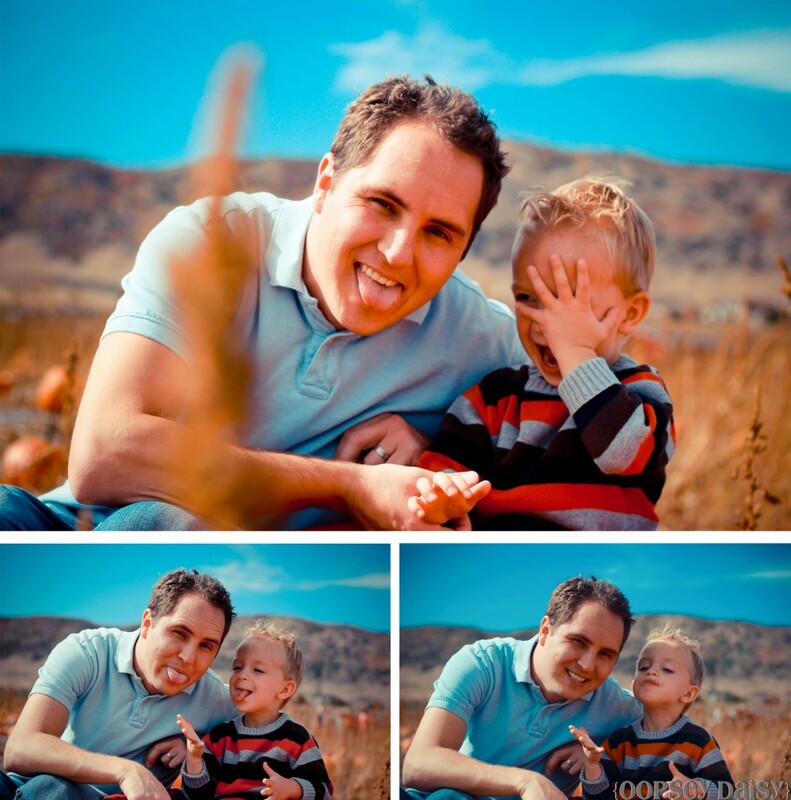 * Little Man picked the "baby" picture because it was "Small--just like me." 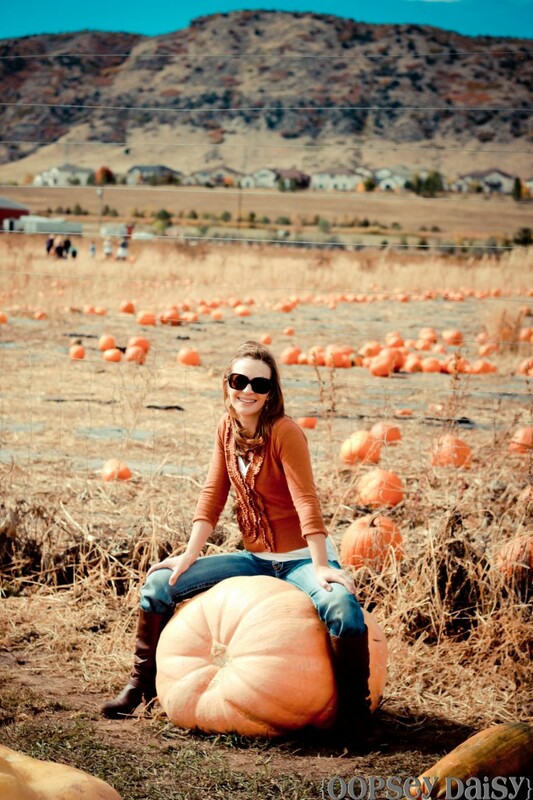 Even after we purchased our pumpkins, we had to explore these enormous pumpkins, too! I can't wait to come back again next year. This place is magical! 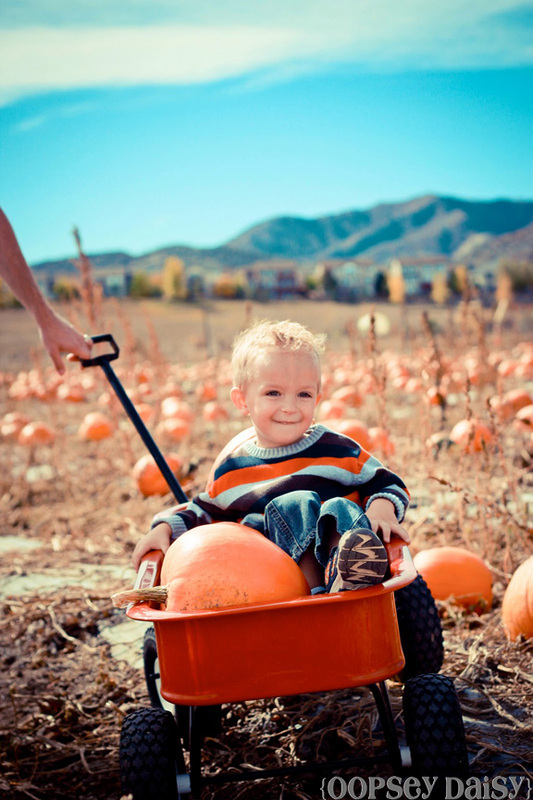 Have you been to the pumpkin patch yet? We went to a pumpkin patch while visiting with my in laws in North Carolina. It was awesome! 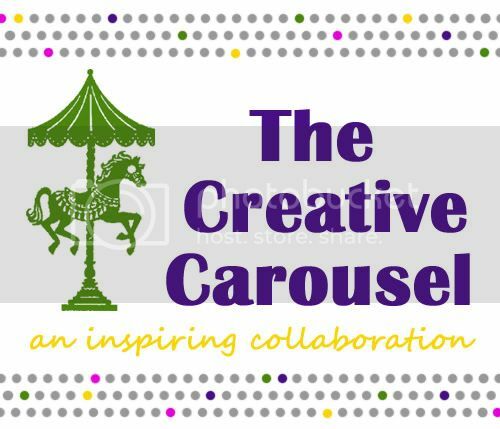 Hay rides, face painting, mazes, animals. It will definitely become a fall tradition! And those pumpkins are HUGE!! I’ve never seen one that big! Looks like your family had a great time! 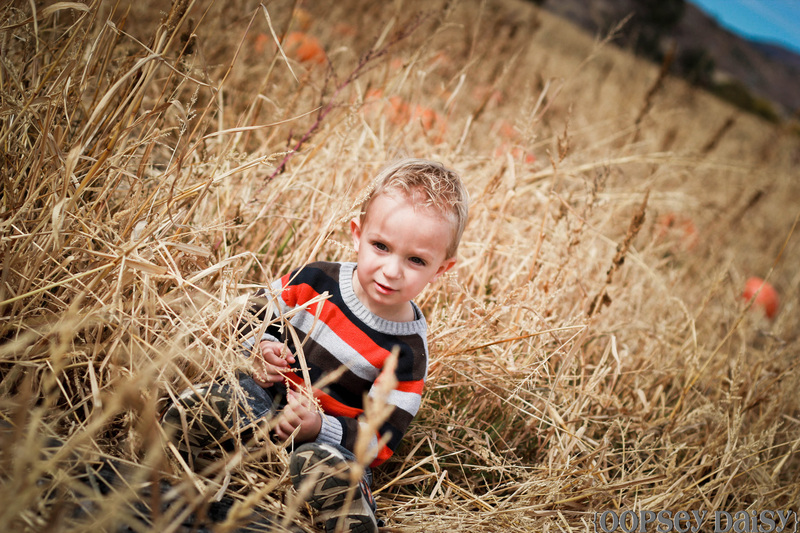 Your little guy looks like he is in heaven:) Love all the fall colors. Have a great weekend Alison! Great pictures! You are such a great photographer. You got such fun pictures! I love that he was very picky about the pumpkin he got. Where do you go for pumpkins, I’m still trying to find a really good pumpkin patch.